As John Green, New York Times bestselling author of The Fault in Our Stars said, “King Dork will rock your world.” The cult favorite from Frank Portman, aka Dr. Frank of the Mr. T. Experience, is a book like nothing ever done before--King Dork literally has something for everyone: At least a half-dozen mysteries, love, mistaken identity, girls, monks, books, blood, bubblegum, and rock and roll. This book is based on music--a passion most kids have--and it has original (hilarious) songs and song lyrics throughout. When Tom Henderson finds his deceased father’s copy of J. D. Salinger’s The Catcher in the Rye, his world is turned upside down. Suddenly high school gets more complicated: Tom (aka King Dork) is in the middle of at least half a dozen mysteries involving dead people, naked people, fake people, a secret code, girls, and rock and roll. As he goes through sophomore year, he finds clues that may very well solve the puzzle of his father’s death and—oddly—reveal the secret to attracting semi-hot girls (the secret might be being in a band, if he can find a drummer who can count to four. 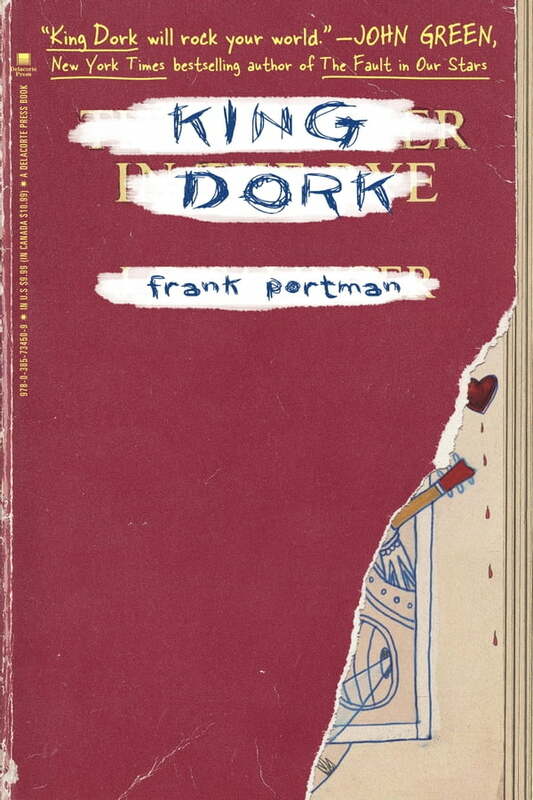 A brilliant story told in first person, King Dork includes a glossary and a bandography, which readers will find helpful and hilarious.